What is Cowboy Boot Camp? We have developed a unique program to teach a thorough and practical approach to natural horsemanship and trail riding safety for the beginner, intermediate & advanced adult rider. We offer step-by-step techniques to strengthen your horsemanship skills and increase your confidence, as well as teach equine care and horse management. As a result, this helps you acquire a solid riding foundation to more effectively communicate with your equine partner. Who should join Cowboy Boot Camp? Too often, individuals have acquired horses only to find out ownership is much tougher than they realize, reliable advice is hard to get and many times instruction is confusing. The frustration leads many to give up on their vision of having a partnership with their horse and their dream is shattered - usually to the detriment of the horse….and you! Then, Cowboy Boot Camp® is the place for you. Together, we want to start you down the right trail ! Real Suggestions and Real Demonstrations! If you can't make it to our barn in Southern California, let us know and we can design a Cowboy Boot Camp clinic in your area that best fits your needs i.e. "Ground Work," "Trail Emergency First Aid," "Confidence Building," "Basic to Advanced Riding," and more. Our annual subscription based membership is unlike other programs! 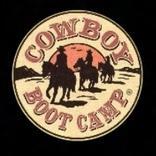 Cowboy Boot Camp will work directly with you to help solve issues and not give generic answers to your questions. Each horse is unique, with their own personality and because of that; many concerns can’t be culled from a library of videos. That’s why we'll try to answer your questions directly. Yes, I want to join and sign up NOW !! Visit Us in Southern California !! Our instruction and demonstrations are offered daily within our low-stress and personal stable environment in the South Bay area of Southern California. Not designed as a pony camp or week-long cram session, “boot campers” learn at their own pace depending upon their own time, availability and means. We want to expose you to the daily realities of horsemanship and teach you what works best for the long-term welfare of the horse. "There are many "trainers" that will give you lessons on how to ride a horse but very few that teach you how to be a horse person. Thank you Jim for educating and teaching people how to be better horsemen! You are making horses happier and cultivating a partnership between horse and rider that is invaluable. Horses across the world thank you too :)." 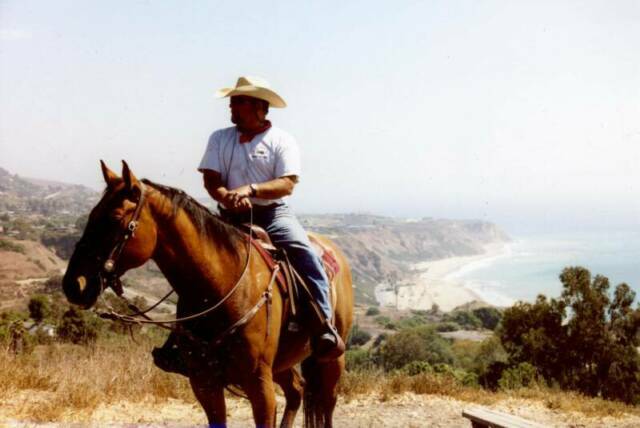 "Jim has such a way with horses and his advice and training is always excellent. 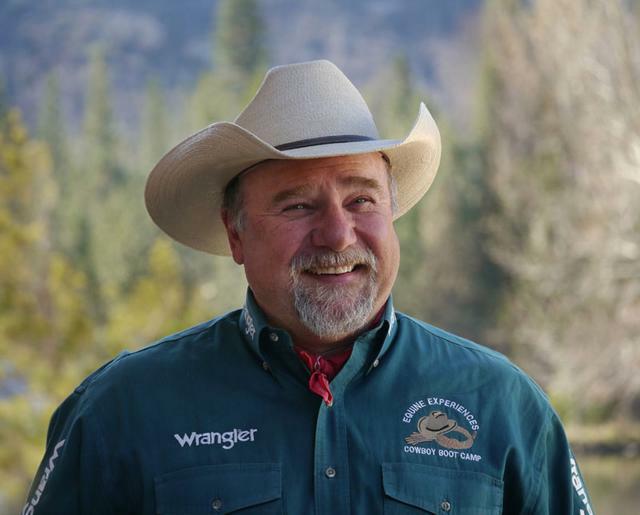 His style and experience brings results and Cowboy Boot Camp has something for everyone (even an english rider like myself). I've always found their clinics (bit clinic, emergency vet clinic, groundwork...etc) an excellent opportunity to expand my knowledge and would recommend them for any horse-owner or horse-owner-to-be." 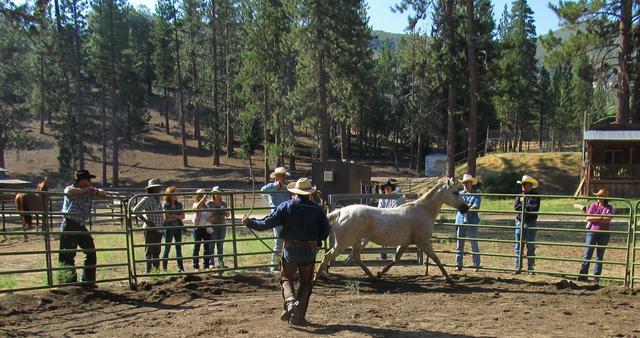 Along with receiving discounts on products and clinics, Cowboy Boot Camp® members will benefit from exclusive training tips, preferred participation at various events including "What Every Horse Wants You to Know" ™ Series and "Ride on Trails Where There Aint't No Trails" ™ Ranch Getaway! The MOST EXCITING portion of CBC is the personalized video reply. Unparalleled information will be at your fingertips. These two- to ten-minute short videos break down our proven techniques, with information that ranges from illustrating the psychology of the horse to basics like how to tie a halter; correct tacking procedures, all the way to advanced horsemanship. You Don't Need to Own A Horse, Just the Desire to Learn !! Cowboy Boot Camp Membership PLUS 2 Lessons or Clinics!